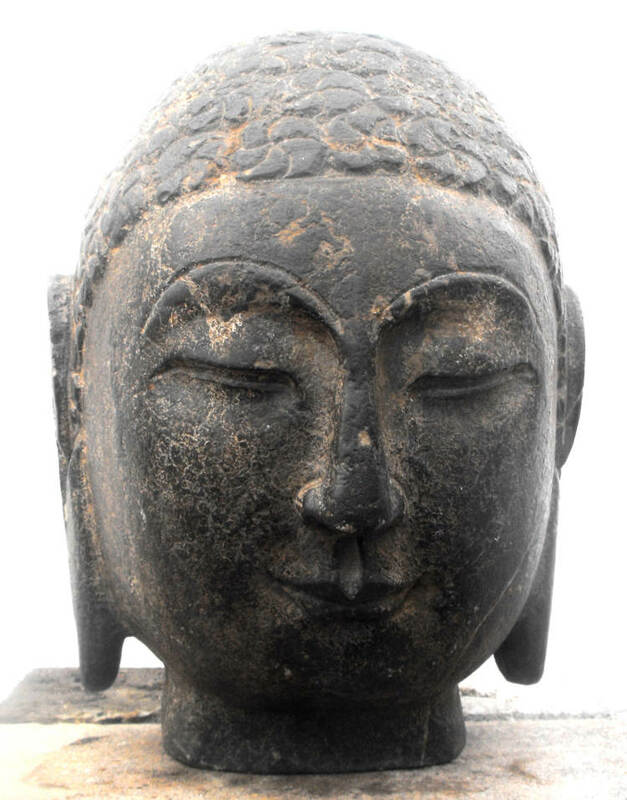 I am inquiring if I could be right about the origins of a full size dark gray or black limestone statue of the head of a Buddha. I feel it could be from the Northern Qi or Sui dynasty, maybe from western China or Mongolia. I have attempted to describe the sculpture in the manner used in other descriptions of similar items to the best of my ability. The sculpture is finely carved. The face of the Buddha is very classical in its regular features, its slender nose, beautiful curving eyes, that are partially opened and downward looking; it has full lips, a defined clift and large incised brows. The Buddha contains the distinguishing feature of the Northern Qi sculptural style in the treatment of the ushnisha. The ushnisha is blended into the shape of the head, rather than being a distinct cranial lump. Due to the sophistication of the sculpture, the presence of the ushnisha is almost not visual, but can be clearly felt . The hair is treated as a series of flat large incised five segmented “bumps”. The ears are large pendulum shapes with no indication of adornment to the lopes. Base of the skull as it forms into the neck contains an indentation. Under 100 x magnification using an USB microscope, the Buddha head was covered with “golden gilding”. There appears to be no other pigmented coating on the sculpture. Using XRD analysis showed that the stone consisted of calcite as the dominant mineral, with a density of 2.731 and absorption of 0.2 % as though the stone was “sealed”. There was also a trace presence of uramarsite. 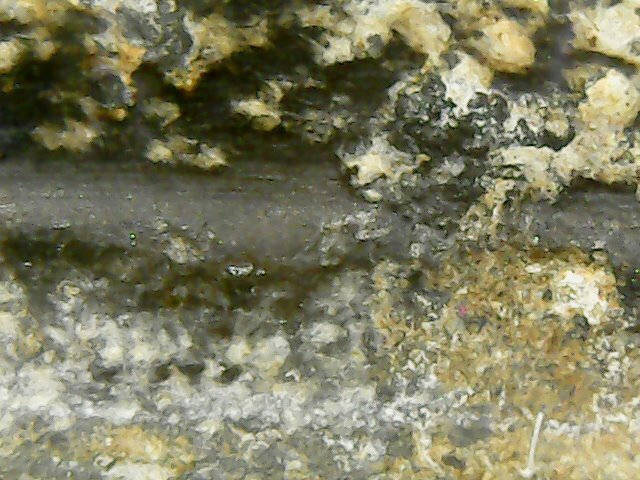 The surface material seemed to be a combination off ankerite, dolomite and graphite. I believe the combination of three minerals were used to simulate a gold gilding on the surface of the stone. The ankerite gave a “gold” appearance which was bonded to the surface through a bitumen (graphite) coating. (see att.) The dolomite is often found in the presence of arkerite. The use of arkerite as a “yellow” pigment was recently noted in 1st or 2nd century paintings of Zeugma (Gaziantep), which lay on the Silk Road. Though the sculpture contains the evidence of a sedimentary lens, there are no “cracks”, opening or repairs evident. The “lower” face appears to be weaker than other Buddhas. I feel this may reflective of a Buddha that was designed to be “looked” up to. From a lower visual point, the Buddha would have appeared “fullier”. In a subjective way, I feel this Buddha is almost feminine. This is why I thought it may have been from the Sui dynasty. The quality of the lower rear surface off the sculpture is not as high as the the frontal area as though implying this sculpture may have been against a wall.